I was determined to join in, although I can only play a few notes on the trombone, and as I sidled into the flashmob I bumped into the French horn section of the New York Philharmonic – all with trombones in their hands – who had the same idea as me and who were determined to join in the fun! 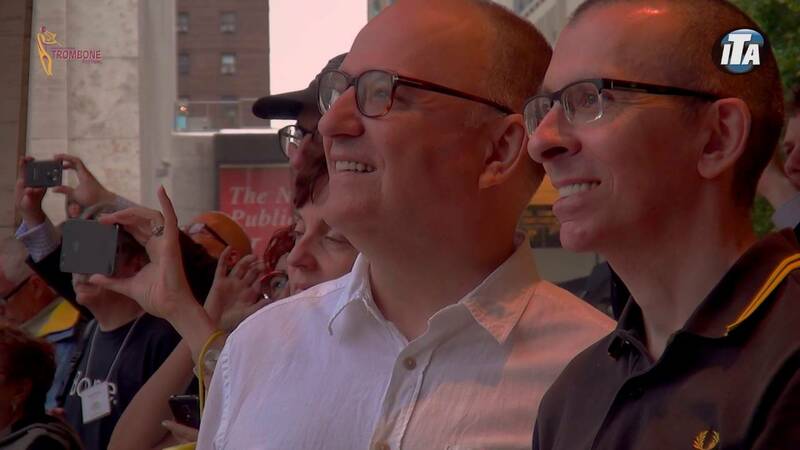 Phil Meyers, the principal horn, seemed transfixed by the trombone player in front of him. When we asked him why, he said he was trying to copy the slide positions…Do check out the International Trombone Festival´s video (here in the Outtakes) of the whole thing and I especially love the aerial shots where you can see just how many of us were out there. Of course, I am not giving away whether we beat the world record or not – you will have to watch this episode to find out. 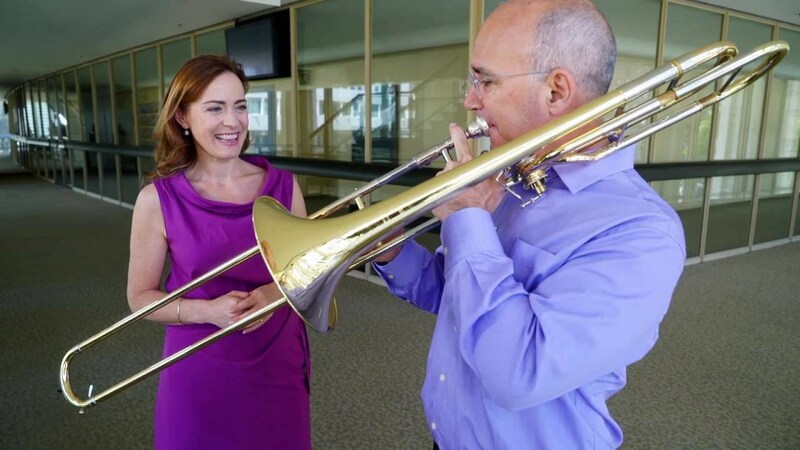 But it was so much fun to film and also wonderful to spend time with Joe Alessi, principal trombone of the New York Philharmonic and a total trombone legend. 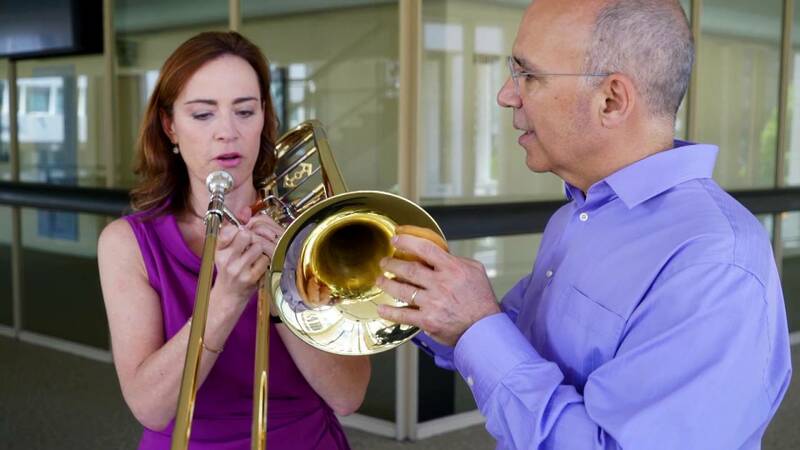 The Trombone Horn Challenge on Sarah´s Music!